but I wanted to share a few special grocery stops that I use to help stretch our dollar. I have mentioned before about Azure and buying bulk from a co-op. I love that all the items I purchase from Azure are GMO-free and organic. I can buy bulk and not have to worry about having certain supplies and groceries. The only down side to Azure is you have to work around their schedule. You don't get to pick the time and date to pick up your food. You have to be available on the date and time they have specified. Although it isn't always perfect timing for me to pick up our groceries, I have never NOT been able to make it work. It is also nice to be able to shop from my computer while the babes are sleeping. A newly found obsession of mine has been shopping at Aldi. A bloggy friend, Aliesha, wrote several posts about how she shops at Aldi. Y'all... it is so much cheaper and if you hit it right, you get all the good produce you would find at Wal-Mart. They are even expanding their inventory to include organic items and gluten-free options. Their milk, cheese, yogurt, and eggs are all made from milk from cows that are not treated with growth hormones. I would challenge you to try and find dry goods that are priced lower than Aldi- you won't. It is a "budget must" when it comes to grocery shopping. Those are the two major budget-savers that help our family afford quality food without busting our budget. She came on the Fourth of July! We got a call early that morning telling us that they wanted us to come in and be induced. We rushed around and called my mom to come stay at the house since the kids wouldn't be waking for several more hours. 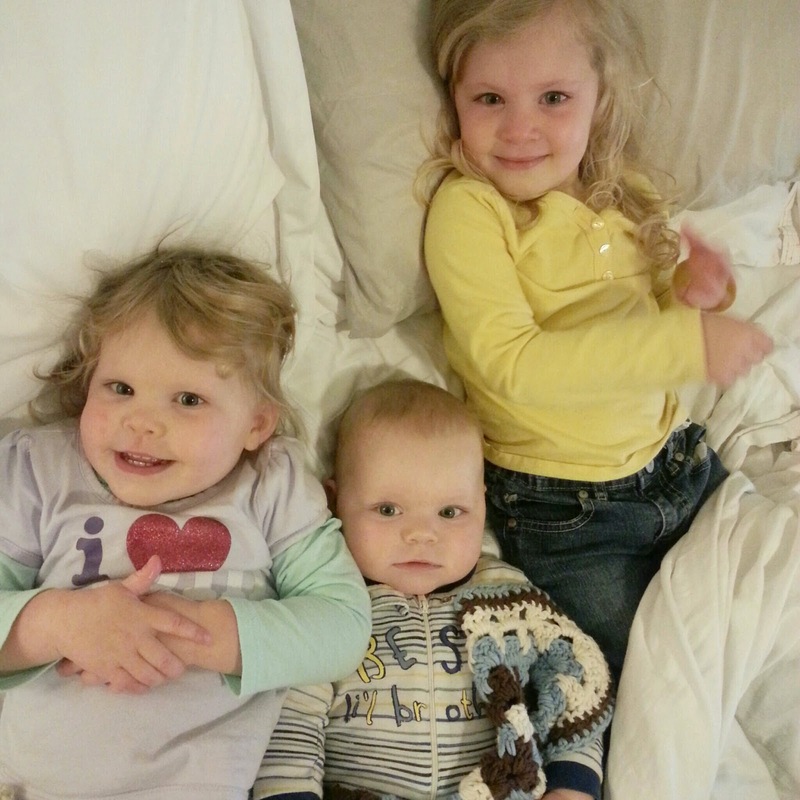 When we arrived at the hospital, we got all checked into our room and began monitoring Julia and myself. so the belt they used to keep the heart monitor on my belly was not suiting her. Her heart rate was sky high and they couldn't induce without her slowing it down. they decided to break my water and attach a monitor to her head instead of using the belt. Instantly, her heart rate went down to the 150s and it was smooth sailing from there. For some reason, the hospital doesn't like women to walk the halls (what?!?! That was silly, if you ask me). I got a pregnancy ball and sat, rolled, swiveled on that for hours. It wasn't even close to being as productive as walking as far as helping me work through labor. I just prefer walking and being on my feet when I labor. I breathed through the contractions and began to vocalize. I could tell that things were progressing quickly. but was 90% effaced, which is good progress. The contractions were getting pretty intense, but were still manageable. I was so physically drained from not sleeping much (insomnia- yuck!) the entire ninth month of my pregnancy, and was pretty emotionally drained from a series of events that took place the day before my induction. With those factors taken into consideration, I decided I didn't have it in me to continue without pain meds. and I didn't feel up to it (I know... I took the chicken exit!). an 8 and completely effaced. I am certain they wouldn't have let me get one since I was so far along. I kept looking at Mark and telling him they weren't going to make it. I knew things were moving very quickly and that she would be making her entrance very soon! I told the nurse that I had a ton of pressure and it was time to push. I had one contraction that I pushed three times during and she was born. This was the first time I watch my baby being born (no mirrors, just saw her coming out). It was so neat to see her little head and watch her body be delivered. With Ella, I pushed for so long and was so tired from labor that I pretty much fell asleep in between contractions. With Liam and Guinnyth, the labor was so intense that my eyes were closed during the pushing because I was trying to focus. This time, I was relaxed and things happened quickly, so I wasn't exhausted. 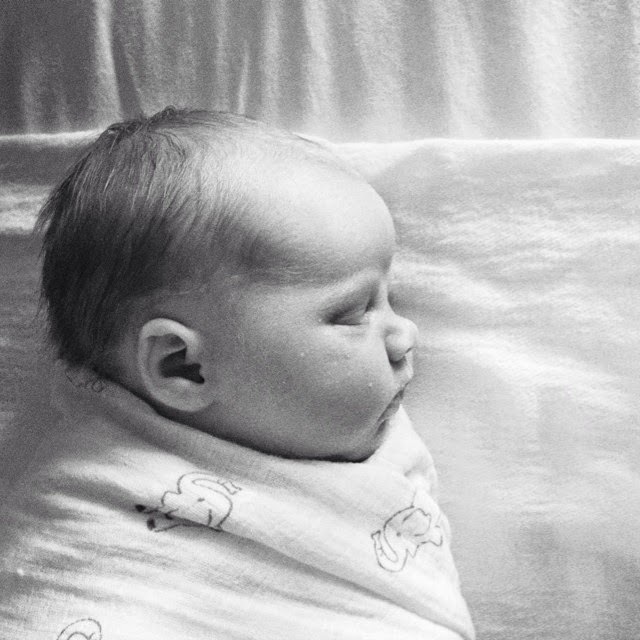 She is beautiful, and healthy and we are doing well! I started reading blogs many years ago. and how I felt an instant connection with Aliesha. and what it looks like for her family. 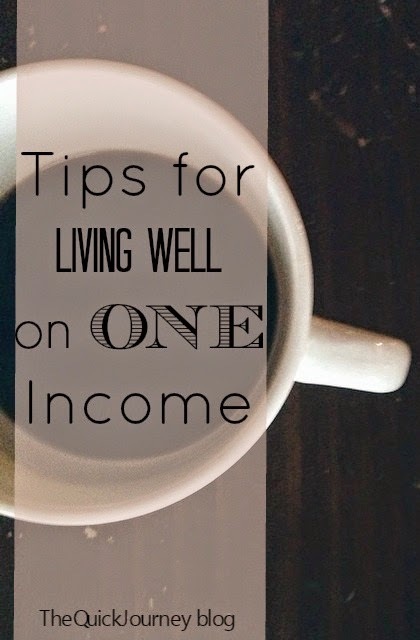 Thank you, Liz, for allowing me to be a part of your Living on One Income series! I have been blessed by what you have written so far! Before Tad and I were married, we planned that I would stay at home with our children. At the time it was pretty much a "given" for us. We knew that it was important to instill our values into our children and to care for them each day, sheltering them from the negative influences of the world while they were still little. So the decision to stay at home was not difficult, but we have definitely faced trying seasons since that point. Finances have always been tough, with Tad's small income barely covering the bills and requiring him to get a second part-time job. Certainly there are people who may have thought that I should go to work to help take pay our family's bills, but that was not our conviction. We saw God provide for us in amazing ways, so we know He blessed our decision. We are, thankfully, at a better place financially now, but we still live frugally (cloth diapering, cooking from scratch, buying used, etc.). The other challenging part of living on one income is the loneliness that I have faced at times due to staying at home all day most days. When Vera was little (actually, until she was 18 months old), we only had one car that Tad took to work each day, so I was at home all the time. Even once we had two vehicles, our finances were so tight that having gas money to go to play dates or to story time wasn't even an option most weeks. Now, with three little ones, just taking everyone somewhere seems like a HUGE job, so we still stay home a lot! God has been so faithful to meet my emotional needs as well and to give grace to this social butterfly in seasons of isolation! I know there are many who would love to stay at home but haven't figured out how to make that happen yet. I encourage you to pray for wisdom if this is your heart's desire. If you're married but don't have children yet and you want to stay at home when you do have your first baby, I encourage you to practice living on one income now. Use your income to pay down student loans, pay for one-time purchases, save, and bless others. Then, when the time comes to quit your job, you will already be used to living under your husband's income. Living on one income takes sacrifice, since it feels like so few people today are doing that, but it's so, SO worth it. Being with my children all day, every day really is a blessing that I do not take for granted! I know of many women who would love to be in my shoes. I am so thankful for God's grace in each and every season! 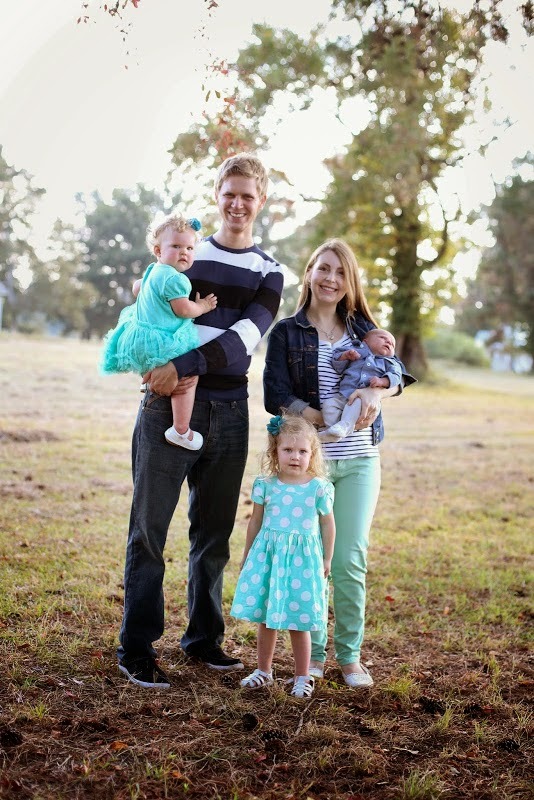 Aliesha is a stay-at-home wife and mom with three precious blessings ages three and under. Her blog home is Feathers In Our Nest, where she writes about family, ministry, food, and frugal living. Aliesha loves to read, shop thrift stores, drink coffee, and cook for her “foodie” husband. I tend to struggle with my desires. I can safely say, Mark does as well. we struggle to determine if it is a want or a need. Momma loves getting her hair done, and all the products that go along with that! Sometimes, I feel like it is a true need. but is it worth going to the salon and spending oodles of cash every few months? We have decided- No- it's not worth it right now. So, I dyed my hair dark (no regrowth showing) and am letting it grow out. Let's talk about all the avenues that tempt our desires. hello!!! I end up wanting that outfit, that rug, that porch. I have to limit my time and exposure to pinterest and enjoy the beauty on the site, but not covet every pin I see. so it has drastically reduced the eye candy flying around our house. and I don't end up wanting the latest handbag. look like blogger XYZ's life. I don't always wear the latest fashion or have my house decorated in a lovely way. Again, like Pinterest, enjoy the beauty of it all, but don't lose focus on the goals you have set. I have realized that true living comes from being content. I receive satisfaction from impulse buys, but only for a short time. There will always be another desire to fill the last desire. 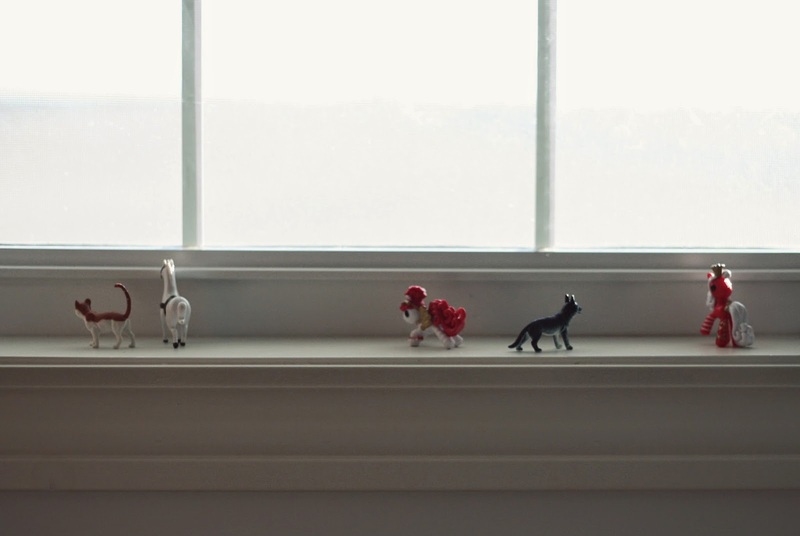 Living without all the clutter is actually freeing. but we still get to have a lot of fun without spending a lot of moola. I want my kids to remember life at home. but for now it's not in the cards for us. sprinkler fun- What kid doesn't love that?!? smores in the driveway- Our kids love making smores! They think it is the best ending to a nice evening ever! eating out- We love eating out, but the more we do it, the less special it becomes. Instead, it is expected and there is a lot of begging to eat out and fighting over where to go. So, we limit it and then it becomes exciting when we do get to eat out. family bike rides- Our kids loved going on family bike rides last fall. We will definitely be doing this more this year! I would love to know how you spend family time without spending a lot of money! Leave it in the comments!!! I wrote a post in June about living on one income. I thought I would expand upon that a little here in the month of July. we truly live on my husband's income alone- and life is expensive, folks. I stay at home with the kids and homeschool my two oldest. and I am so grateful to get to stay with my kids. someone is peeking out the window waiting for daddy to arrive home. I love that I get to watch them be giddy about little things like daddy coming down the drive. 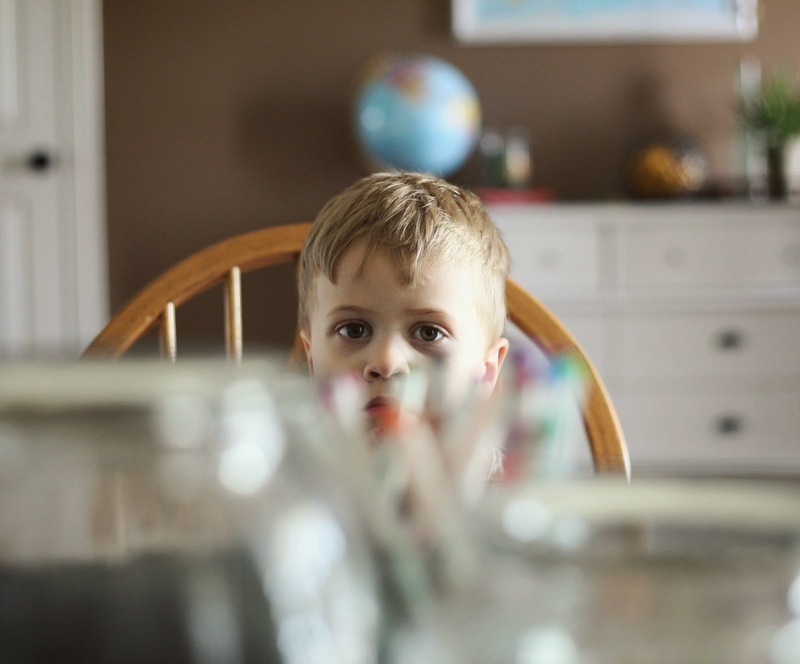 There are sacrifices that are made when one lives on a sole income with several kids. The point of this series is to encourage families that going without and finding alternatives is a great way to make "small living" work for your family. I love staying at home much more than I love the newest fashion, or home decor. I hope you enjoy this series and it inspires and brings hope to your home. A long time ago, I used to make pancakes from a box mix. so I just kept breaking out the box. Now, I only make pancakes from scratch and the flavor and texture is so much better. So, when I found out I was pregnant again, I knew I needed to find a recipe that I could make that the kids would love and I could still enjoy since I get diabetes with my pregnancies. I started dabbling with almond flour first and then tip-toed into what liquids I could use instead of regular milk, since milk tends to spike my blood sugars. I finally came up with my go-to, low-carb, healthy pancake recipe. 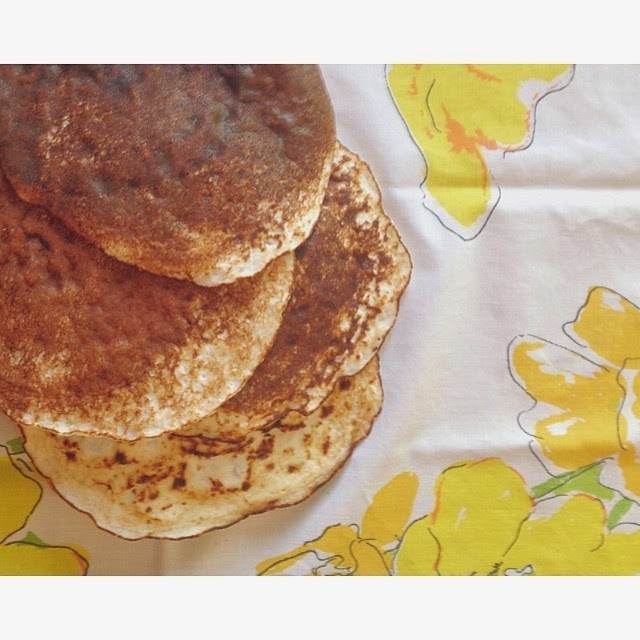 These pancakes are fluffy and the Silk Almond Milk-Coconut Blend adds a subtle sweetness that is delicious. Instructions: Mix all the ingredients together and pour onto a preheated griddle. 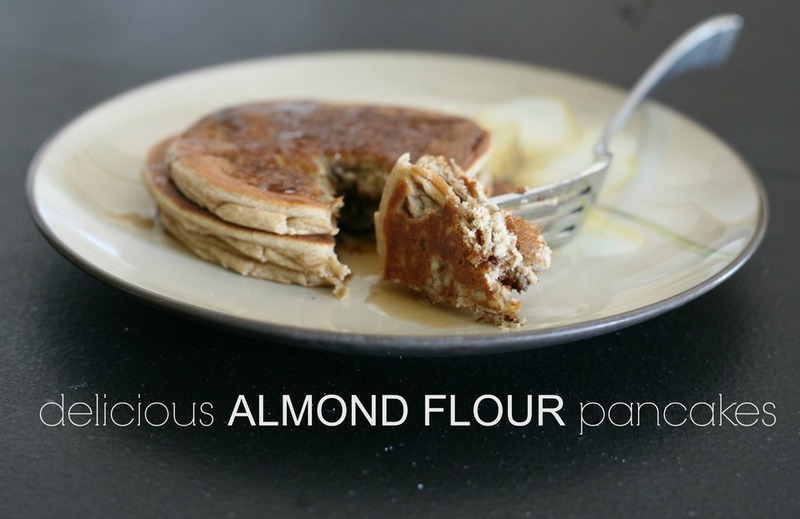 These pancakes need to cook slower and longer than regular pancakes due to the almond flour's consistency. I set my griddle on 300 degrees and cook thoroughly on each side. We also love to add in: bananas, chocolate chips, chopped pecans, etc. Finish off with a pat of real butter and a drizzle of syrup or agave nectar! Make sure you visit Silk Almond Milk's facebook page to get a coupon for your own Silk Almond Coconut Blend. 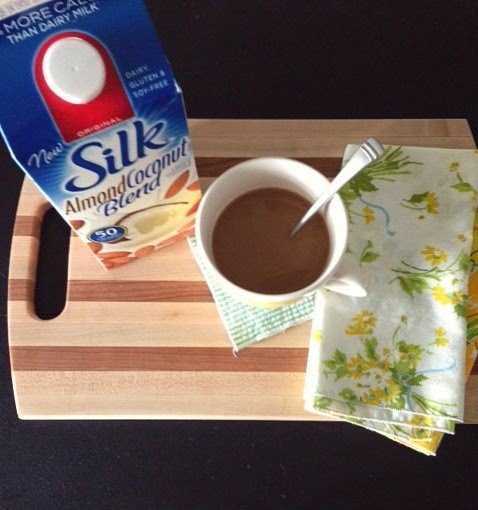 What is your favorite way to use Silk Almond Milk?